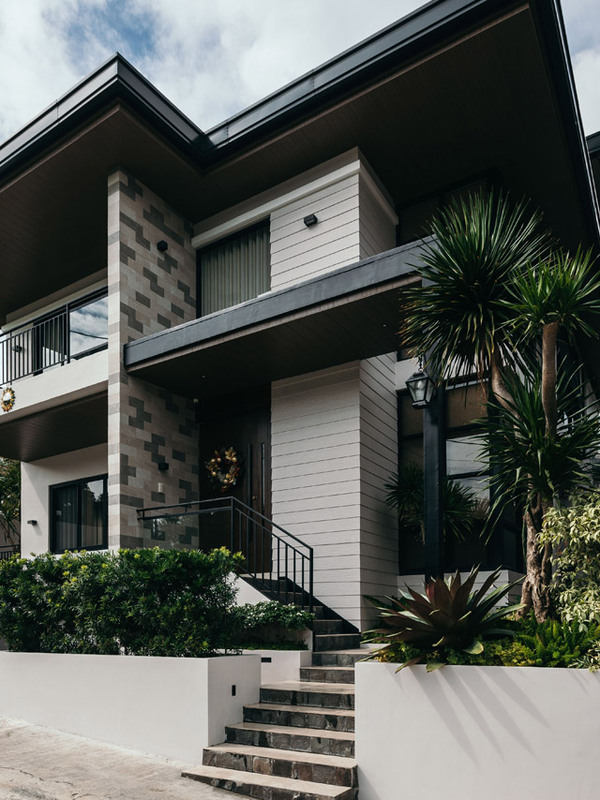 In designing this family home, architect Angelo Siochi had to take in consideration the American-inspired theme of the subdivision at the same time inject a few elements that showcase modern Filipino architecture. The breathtaking finished project is nothing short of inspiring, with a facade that's reminiscent of homes we often see in TV and movies. Aside from the noteworthy materials, the short flight of steps that leads to the main door adds an extra appeal to the home. 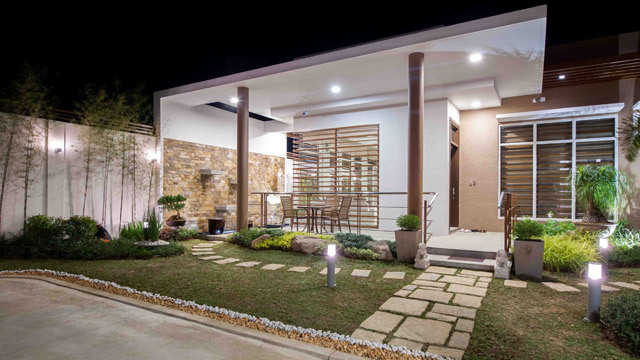 Finding architect Alistair Sadie's home in a subdivision in Muntinlupa will be easy for friends and visitors. 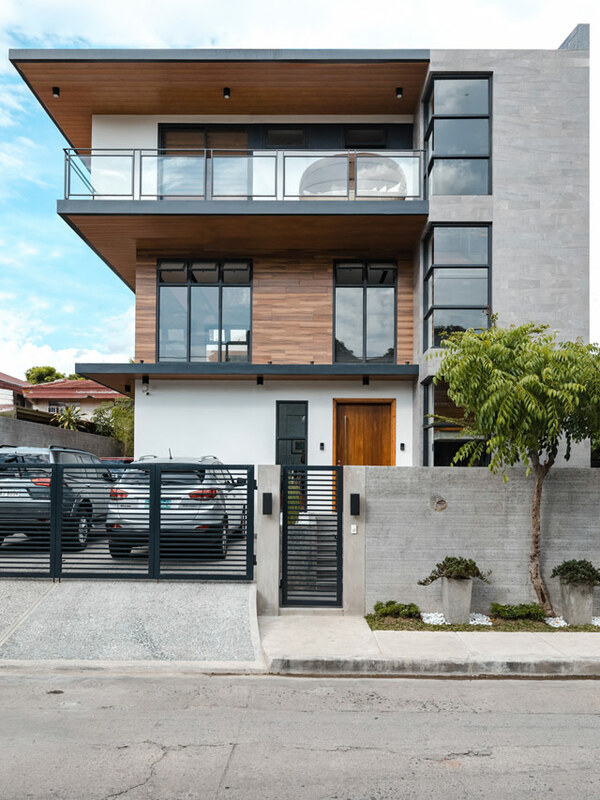 It stands out near the corner of a street—with its beautiful facade highlighting the smart use of wood, concrete, and metal. Instead of using hollow blocks for the perimeter fence, the architect used galvanized iron (GI) sheets painted in black. 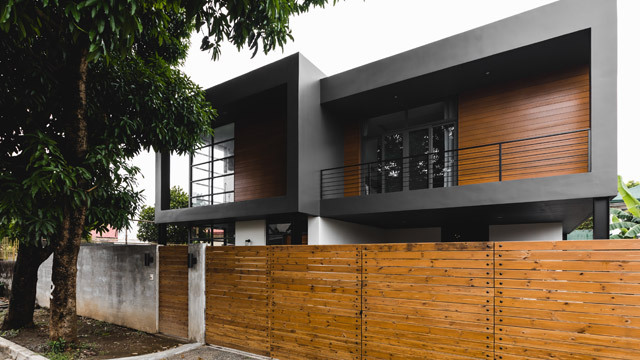 To build their dream home in Cainta, the owners worked with architect Agatha Rodis, architects Justin Espejo and Paolo Balatbat of Minimalist Manila for the interiors, and Western Engineering and Industrial Supply as contractor. The result is a stunning home with a modern tropical meets minimalist theme. It has a facade that speaks volumes—with a lovely neutral palette, wood, and glass windows that let in natural light. 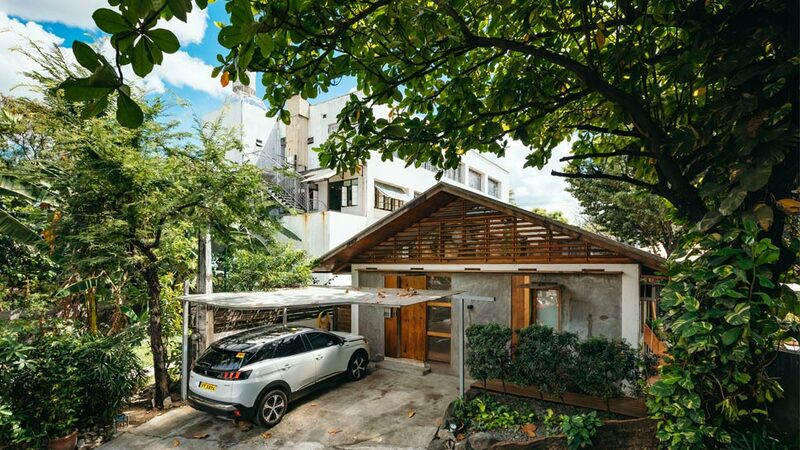 Who wouldn't be curious to see what's inside this 1,000sqm contemporary dream home? Designed by real estate developer Irene Enriquez, the house highlights a mix of Japanese and Italian influences. The facade highlights clean lines and a contemporary feel with spacious upper and lower decks. It's hard to imagine that this house used to have a gate, a garage, and an outdated look. 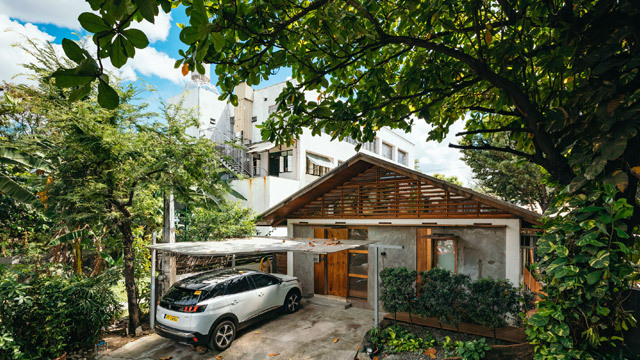 Architect Pierre Briones of BRIOArc Studio took charge of the home's renovation, opting for a minimalist feel that takes inspiration from Japanese homes. Pierre worked with a raw, cement finish then softened up the look with wooden elements. The presence of towering trees and plants gives the home an inviting feel, too. 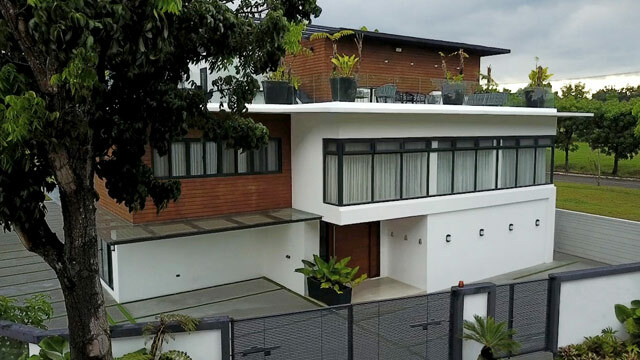 Designed by architect Ireneo P. Roque, this house in Bulacan showcases a modern aesthetic, with clean lines, white elements, and a roof deck. The home's facade features a balance between glass and steel materials, a neutral color scheme, and an enchanting curved pathway highlighting piedra stone and different ornamental plants. 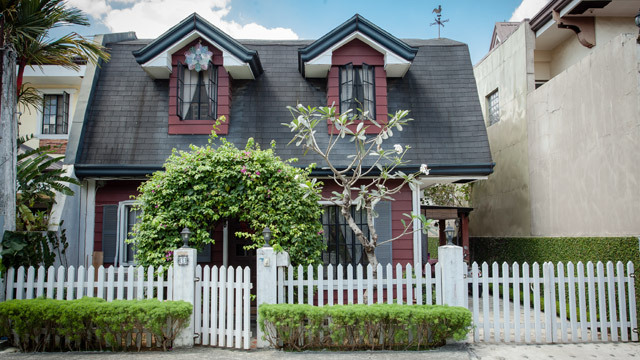 Without a doubt, this home stands out in Makati. Taking inspiration from New York's famous brick houses and warehouse apartments, the house will transport you to the Big Apple, with its fantastic use of bricks and industrial windows. 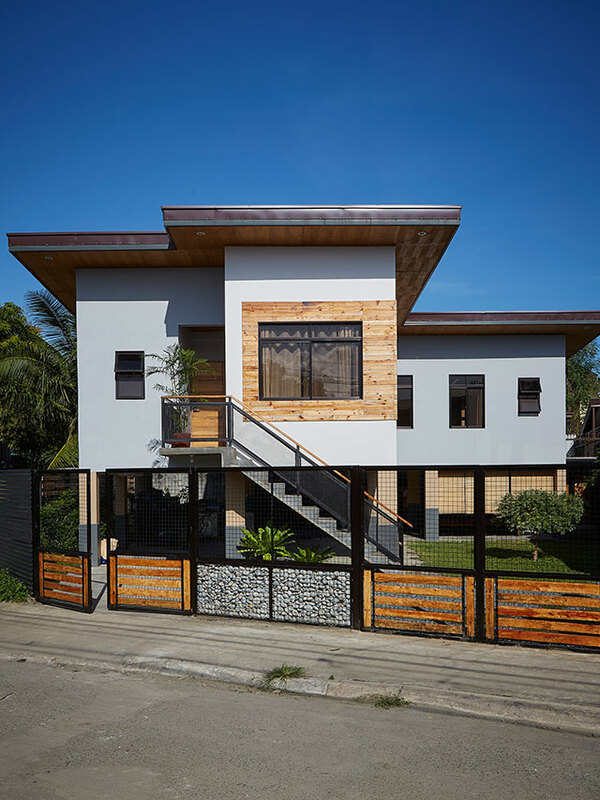 In realizing their dream home, the owners worked with ARQON, a company run by their architect-friends, Manuel and April Pulido, and Chino Buitizon. The welcoming haven showcases a mix of industrial and minimalist themes, with raw finishes and a balance between gray and earthy tones. 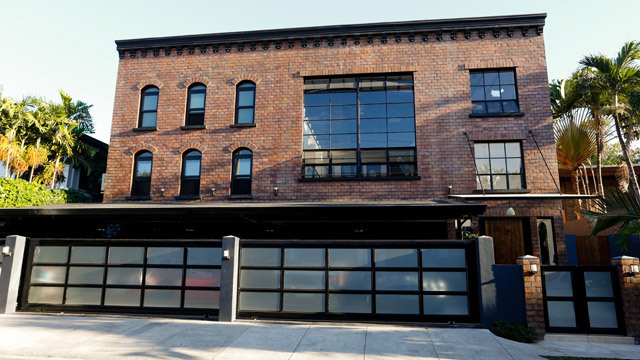 According to the architects, they wanted to highlight the exposed structural elements in the facade like the wide flanges at the perimeter of the property. The sight of this charming country-inspired home will remind you of fairy tales and storybooks. With the help of interior designer John Vigilia, the owners were able to make the property their own. Completing the homey and inviting appeal of the property is the white picket fence, gabled roof, and the lush greens defining the space.